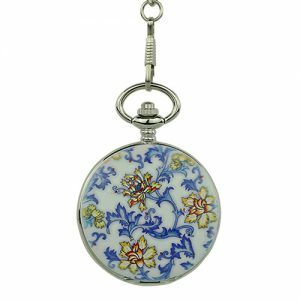 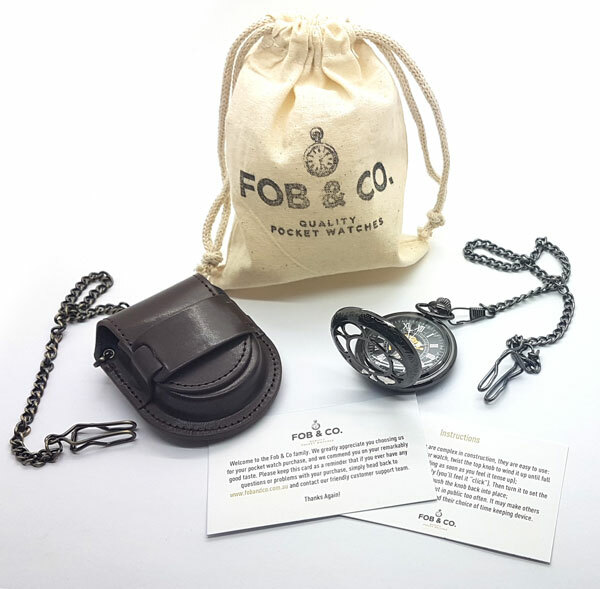 Floral Leaves Trim Half Hunter Pocket Watch - Fob & Co. 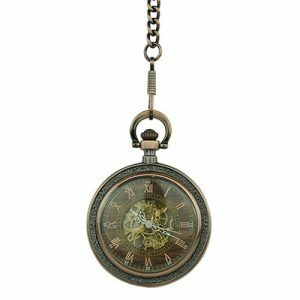 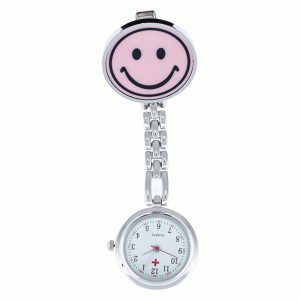 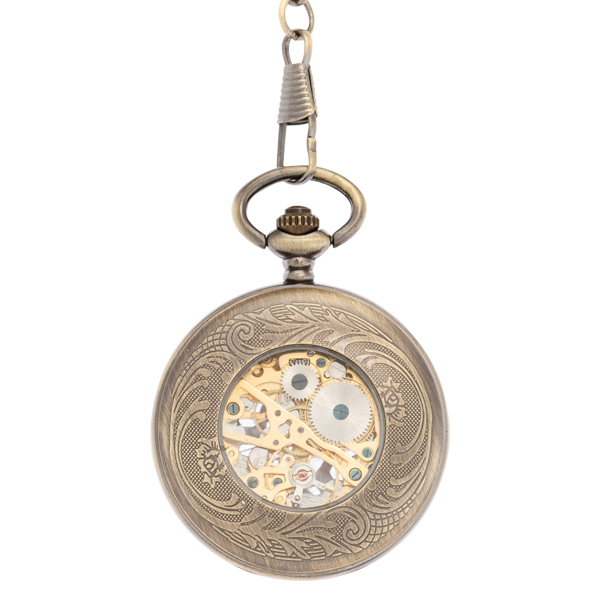 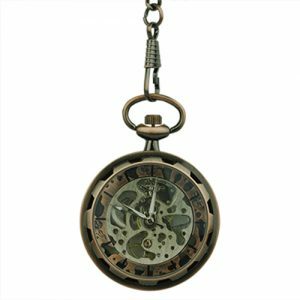 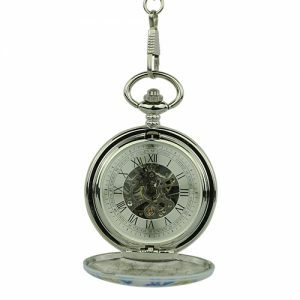 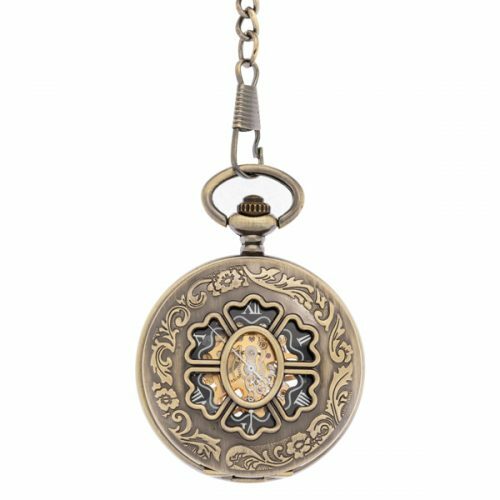 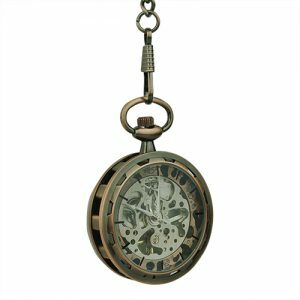 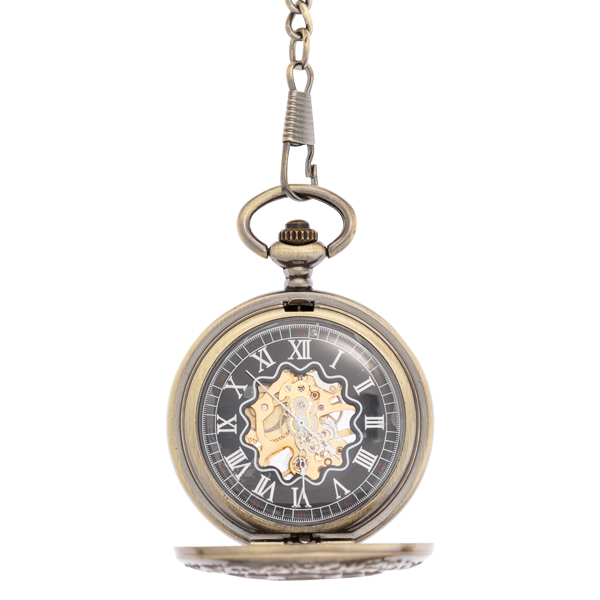 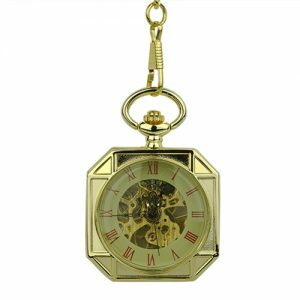 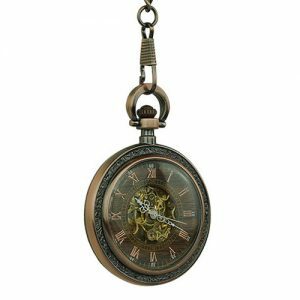 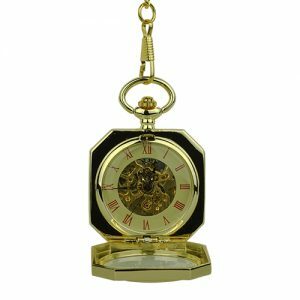 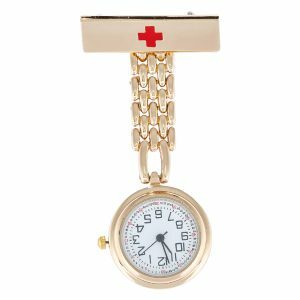 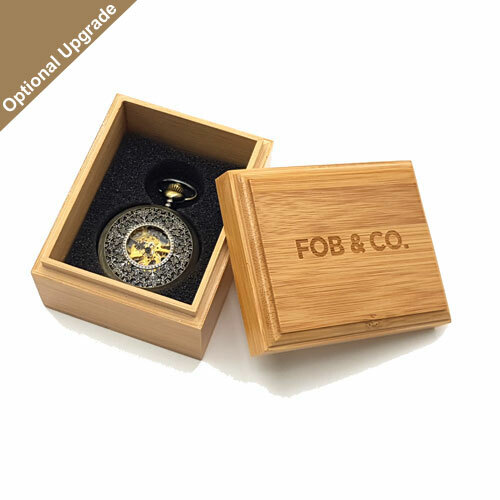 This pocket watch has a brass-coloured frame and half hunter cover with a flower design coming out of an oval centre. 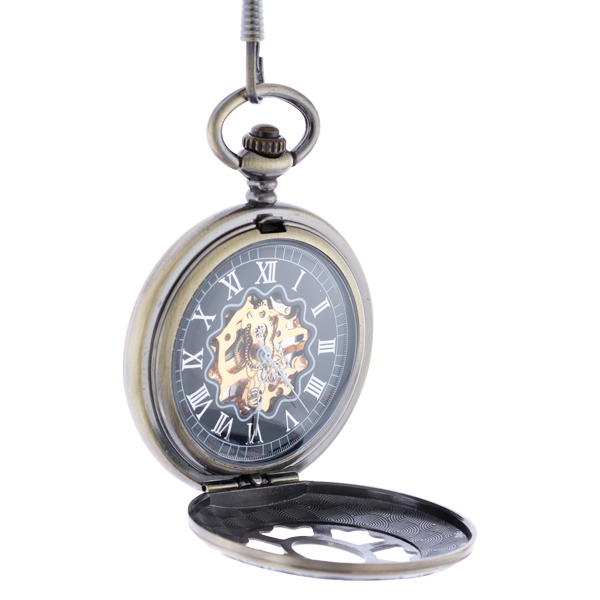 The viewing windows show a black and silver outer ring watch face with Roman numerals and a see-through centre with gold-coloured inner workings.